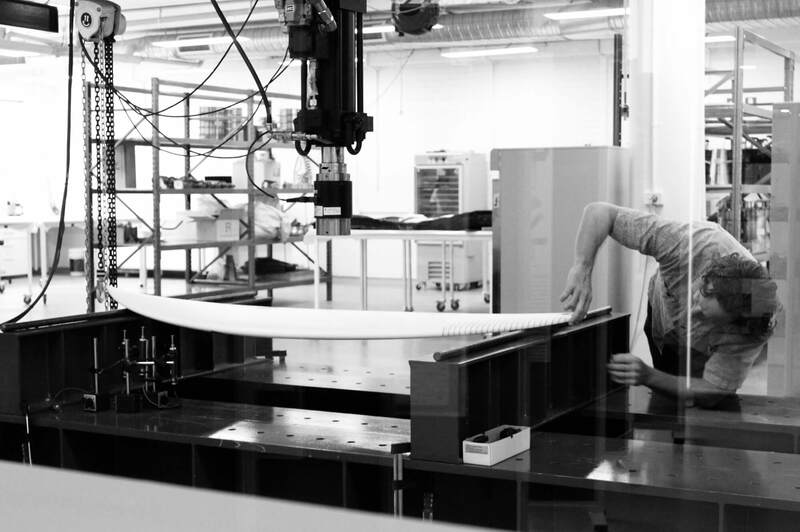 Lamina Flow faces the challenge of adding surfboards to the circular economy by designing waste out of their production. Outwardly and in reputation, surfing seems like it couldn’t be any more environmentally sensitive. It’s all about connecting with nature: just you and the power of the ocean, nothing but a simple device of plastic and foam between you and the primal forces of the Earth. To lifelong surfer Stu Bowen, this idyllic vision about surfing is “the height of hypocrisy.” Nearly a half-million surfboards are sold every year, and most boards last just six to 12 months, often snapping under the strain of performance. When you realize modern surfboard design uses polyurethane and polystyrene, surfboard manufacturing looks about as Earth friendly and spiritual as drilling for oil or the Great Pacific Garbage Patch. And with surfing about to become an Olympic sport and thus even more popular, the pollution inherent in surfboard manufacturing is set to multiply exponentially. Bowen wants to do something about it. 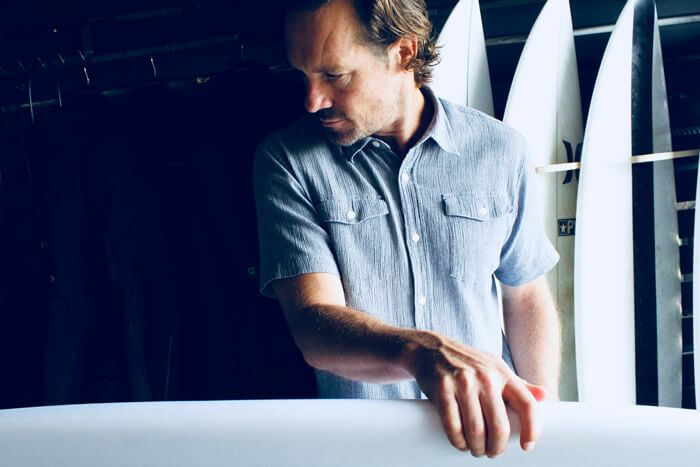 Stu Bowen launched Lamina Flow to bring surfboard production in line with the environmentally connected image of surfing itself. Courtesy Lamina Flow. In starting up Lamina, Bowen is trying to fulfill a long-standing promise that business—usually considered the bad guy in the health of the environment—can actually be the solution. By Bowen’s admission, he’s got some hurdles to overcome. One irony of surfing is that while the entire pursuit rises and falls on changes that surfers monitor religiously—changes in the weather, the swell, the tides, and so on—most of the industry steadfastly resists changing the way it makes boards. While redesigning a surfboard for longer life expectancy, Lamina Flow also gave it more flex and springback for better performance. Courtesy Lamina Flow. For thousands of years after surfing was invented in the South Pacific, native peoples used planks of wood and networks of reeds to make boards—environmentally friendly but often heavy and ungainly. During the ’30s and ’40s, the industry took cues from boatbuilding, adopting resins, fiberglass, and polyurethane foam. Get a look at the tools Stu Bowen uses to build eco-friendly surfboards. One of the linchpins he’s trying to enable is precision. 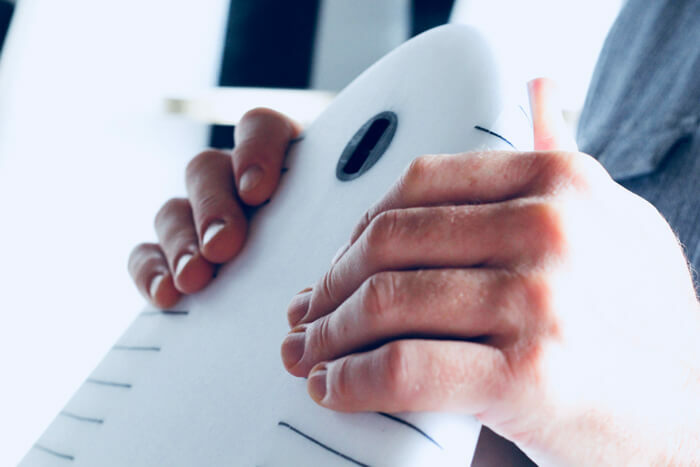 Even though making something manually has the romantic spirit associated with surfing, it’s very difficult for a human to replicate features in something that needs as much balanced precision as a surfboard. Inspirations for Lamina Flow’s work came from all over—from skis and snowboards, which are very hard to break, to bows and arrows. It led to the use of a series of laminas (hence the company name). Instead of using a single foam core with a wooden stringer down the middle—the length of material that both strengthens the “spine” of the board but unfortunately makes it more brittle—Lamina Flow surfboards have three layered cores, which let Bowen and his team build reinforcements into each layer. Stu Bowen plans to move from subtractive milling with CNC devices for prototypes to an additive-manufacturing final process. Courtesy Lamina Flow. 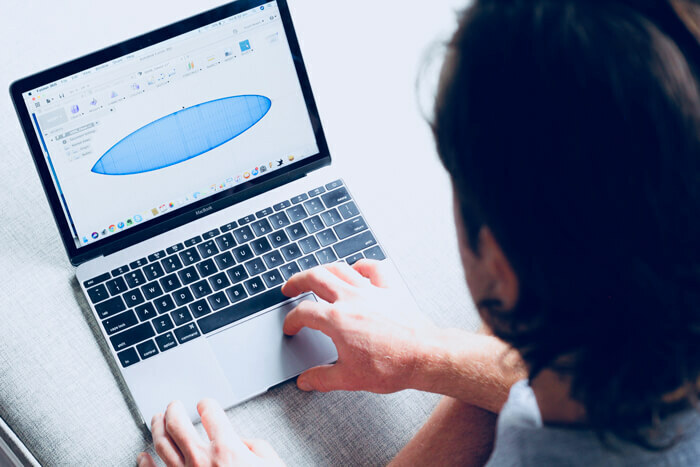 Stu Bowen and his team used Autodesk Fusion 360 to engineer their surfboard and share it over the cloud to US mill operators. Courtesy Lamina Flow. Bowen insists he’s not interested in being the star of the Lamina Flow story. It’s about the environment and doing things better, but it’s also about collaboration, with the entire team elevating the work. 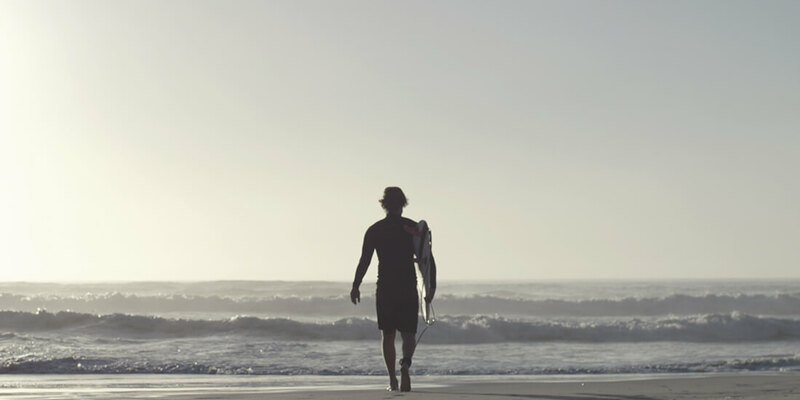 Collaborating long distance between Bowen’s home in Australia’s famous surfing mecca of Byron Bay and Autodesk engineers in San Francisco has been challenging but rewarding. Bowen and his team digitally engineered the tapered leaves (laminas) in Autodesk Fusion 360 3D design software, which could be shared in the cloud with the mill operators in the United States. They could make any necessary changes or adjustments identified during prototyping immediately in the software tool paths. “The cloud-based platform definitely helped bridge the distance,” Bowen says of the 17-hour time-zone shift. It’s early days for Lamina Flow, but so far, its design and manufacturing proofs of concept are solid. And when you consider that Polynesian prince who first carved a flat board out of a tree to ride the waves thousands of years ago, he was a lonesome outlier in his field, too.